I didn’t have an idea for a topic today so I figured that I would search for a lyric to inspire me. I hit shuffle on my iPod and got the song, Drowning Man. Have you ever read the lyrics to that one? It seems pretty dang political to me. Therefore, I’m moving on. What pops up next? So Long Suicide. I’m clearly batting 1000 here. Those lyrics don’t work well for me either. Moving on. The song, Big Store, by the Devils comes up next. Okay. I can do that. So, what lyric grabs my attention? There isn’t one line in particular that speaks to me but the song has a whole makes me smile. When I hear this song, it reminds me of a good party. Lines like “I’m going out tonight” and “We drink small sour drinks” definitely sound like a party to me. Then, when I think of good parties, I immediately think of going on tour. I know that for some fans shows don’t necessarily mean drinking or partying but for us and our friends, drinks are usually part of the whole experience. Sometimes, when things are really awesome, we drink from paper cups with lids that don’t fit. There should be a lyric about that. Now, of course, there are lyrics that don’t really fit my idea of a party. The title, for example, does not go. Neither does the verse that mentions shopping. Maybe, the shopping is to get something to wear to go out? Then, there is the verse with different women mentioned. It makes me smile, in particular, because my family calls me “Mandy”. Overall, I really like this song. It always makes me smile because it reminds me of good times on tour, partying with my friends. What do the rest of you think of this song? I allowed for 8 songs rather than the usual 7 because there was a tie between She Can Rock It and Still In Your Heart. This week, we vote on the songs from the side projects that Nick Rhodes was involved in. These include Arcadia, The Devils and TV Mania. Now that you have familiarized or re-familiarized yourself with these songs, it is time to vote! On this date in 1960, Stephen Duffy was born. 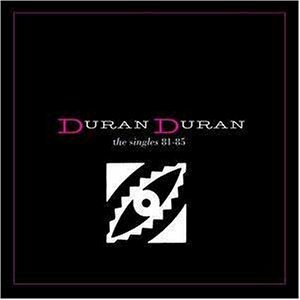 Now, some of you might be wondering why on earth I am bothering to mention this today, and that’s OK. Not every Duran Duran fan is aware of it’s very beginnings…so I’m going to use this as a Duran Duran 101 teaching moment. Let’s all step into the time machine and head back to Duran Duran’s beginnings. Back before Andy came back, way before Warren stepped in, and even before Simon showed up to sign in pink leopard print pants. Stephen Duffy was in fact one of the first members of Duran Duran. He started out as vocalist, also penning lyrics and playing bass (yes, BASS), while John was on guitar (that’s right, at first John played guitar). It wasn’t long before Simon Colley joined the band and took over on bass, and then Stephen moved over to drums. Last weekend, I did a little blog in which case I questioned the depth of fans’ Duran Duran collections, which you can read here. In that blog, I asked fans to participate in 4 surveys, including the Duran albums they own, albums they heard completely, side/solo projects they own and side/solo projects they have heard completely. As people participate, one factor became obvious. I should have probably listed the extent of the side and solo projects. For example, Power Station had two albums during their existence. Thus, the results might not be as accurate as they could be. That said, this was all in fun so not a big deal. I will describe my reaction to this list tomorrow, including when/where the big drops in ownership were. Like the first survey, the results surprised me and did not surprise me. More reactions from me to follow on tomorrow’s blog. All in all, I found the results fascinating. I will dive into the results and give my reaction in tomorrow’s blog. Before I do, what do you think of the results? Today in Duran History – Nick’s Birthday! On this date in 1962, Nick Rhodes was born. It seems that the online world today is filled with pictures, messages, and well wishes to our favorite keyboard player. Nick, of course, has sent a message to thank everyone for their well-wishes, which you can hear here. So, how should I celebrate Nick and his birth? Simple. Let’s watch some videos!! I picked some that represented the best of Nick and his work. What are your favorite videos with Nick? What would you include in a celebration birthday post?